Hey I will be at the Bronx Heroes Comic Book Con 2! 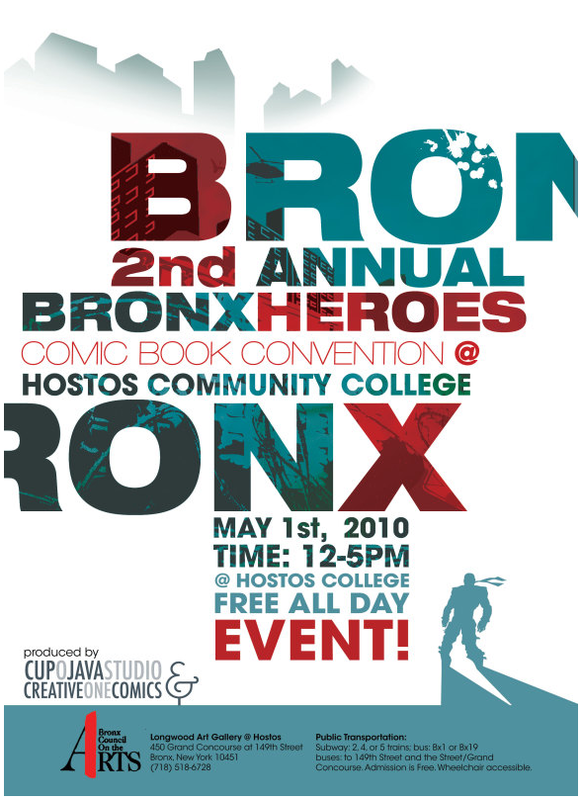 This saturday, MAY 1st, 2010.I will have table and will doing a crazy amount of sketches and I will be selling my self-published comic book, "The Midknight Marauder" http://www.indyplanet.com/index.php?id=3049 It is at the Hostos Community College in da Bronx! Map. Its a free all day event. Also, its FREE comic book day, so hit your local comic shop grab some free comics and come up hang out with artists and comic book culture!